Zygomycete. Mating strain, cross with Phycomyces blakesleeanus (-) to produce zygospores. Incubation temperature 25°C. 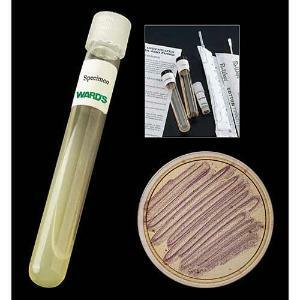 Potato dextrose agar growth medium.